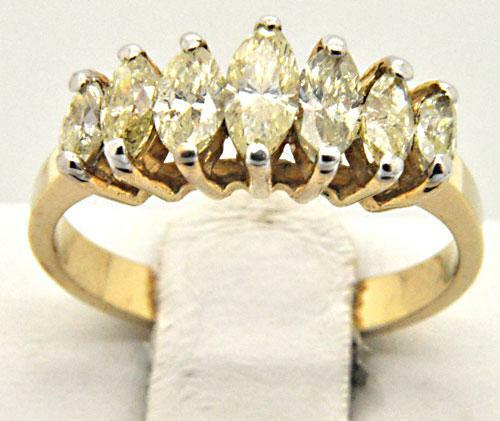 LADIES 14 KT DIAMOND BAND 1.00 CARAT TOTAL WEIGHT. 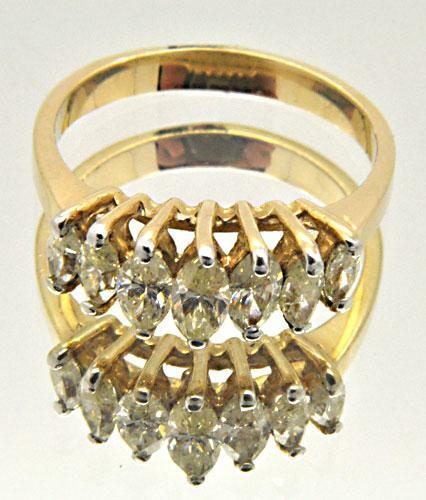 THIS BAND HAS SEVEN MARQUISE CUT DIAMONDS SET IN PRONGS WITH A TOTAL WEIGHT OF 1.00 CARAT. DIAMONDS ARE EYE CLEAN AND SPARKLE IN EVERY DIRECTION. 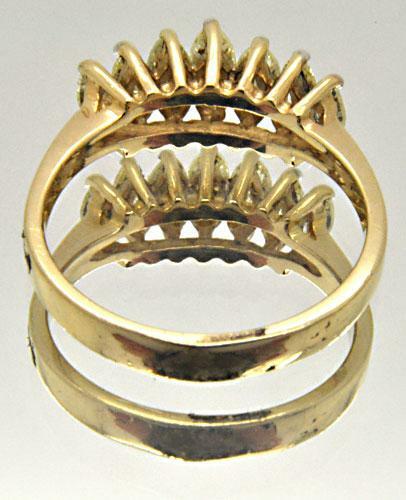 RING SIZE IS 6.5 AND GOLD WEIGHT IS 3.0 GRAMS.